Have you noticed a lot of bird activity at your house recently? I certainly have. Lots of different types of birds very busily collecting seeds from this summer's flowers, and scratching around in the fallen leaves. You can tell that the seasons are changing and preparations are happening for the cold weather that will soon be upon us. This post may contain affiliate links, please see disclosures for more information. How can you find and observe birds during the months of fall? 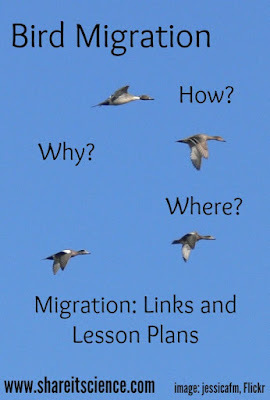 Which birds migrate? Birds migrate to be sure they can find enough food to feed themselves throughout the year. For birds whose breeding grounds are in climates that receive snow or frigid temperatures this means that many have to travel to warmer areas. Migrating is a very difficult task, and many birds do not make the trip. This time of year birds are bulking up so that they will have the energy stores to fly hundreds to tens of thousands of miles to their winter habitat. Neotropical Migratory Birds are those that spend their spring and summer in Canada or the United States and the winter in warmer places like Mexico, Central and South America, or the Caribbean. There are many species in North America that fall into this category. As migration is difficult, actions like the Neotropical Migratory Bird Conservation Act are in place to aid in conservation efforts and maintain our avian populations. How can you observe bird migration? Migration forecasts are available through Cornell with their BirdCast site. You may also live in one of the regions recognized as a migration flyway. Birds don't just fly straight south- there are 4 major flyways in the United States that many bird species follow. You can also visit eBird and find where certain species have been spotted in your area. Observing the migration of hawks is very popular and there are many sites devoted to this. You can find information and data at the Hawk Migration Association of North America and HawkCount sites. Which birds migrate? Many that you are familiar with! For a list of birds that migrate to warmer climates see this table from the Neotropical Migratory Bird Conservation Act. Tracking wildlife is not always easy, although the data being compiled about bird migration is improving all the time. Between technological advances such as transmitters and GPS, and the work of citizens through programs like eBird and Project Feederwatch, we have a clearer picture of where birds are and where they are going. 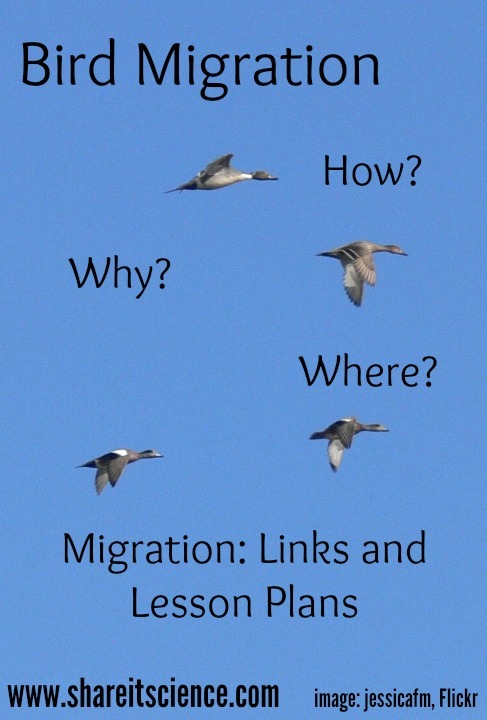 Click on the links below to learn more about bird migration, some great book suggestions for children, and resources and lesson plans about bird migration! What have you been observing in nature? Comment below! Cornell: "The Basics of Bird Migration: How, Why and Where"
Cornell: "Where Can I Go To Watch Hawk Migration?" Audubon: "Tracking Birds' Migration Paths Online"
This is a great migration unit study. Thank you for sharing.